The Christmas season, with all its fun and festivities and falalas, also gives us obligations, stress, and to-do lists a mile long. And after pushing ourselves to exhaustion or gorging ourselves on candies and desserts, the idea of a new day, a new month, even a new year is more than a breath of fresh air. It’s a gulp of oxygen as we feel ourselves drowning in year-end excess and often unmet expectations. But before we start a list of all the many, many ways we’re going to be better, do more, work harder or smarter this year, let’s breathe in deeply our clean calendars and pretty paper journals, and exhale a little of all our best intentions, goals and ambitions. I am sure this idea is not new to many of you – choosing one word for the year that sums up who you want to be or what you want to do. One word to filter every thought, action or reaction throughout the entire year. One word to keep you focused on what is important. This year, 2019, [my first time for one word of the year] I am choosing JOY. 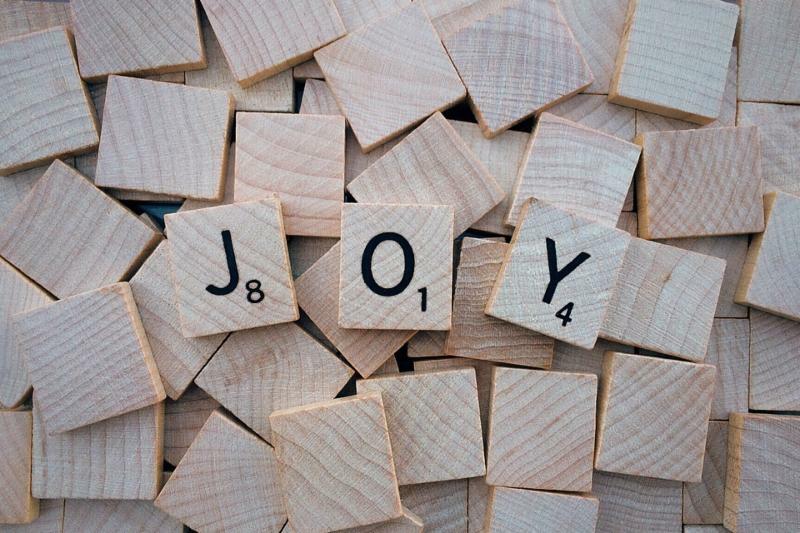 Whether I am sitting on the floor playing with my two precious girls, working at my computer or passing a stranger at the store, I want to choose JOY. Especially because, when I force myself to funnel my hopes and goals for an entire year into a single word or phrase, I also force myself to focus on what truly matters and what will make an eternal difference in my life and the lives of those I care about. Whether or not you decide to join me in choosing one word for the year or not. I challenge you to look at this new year with a new perspective. Don’t overbook your calendar with what YOU think needs to be accomplished but rather ask God what HE desires of your time, your resources, and of your heart- let Him lead you and fill up the white spaces on your calendar. Find the JOY in His presence each day of 2019.